The internet has opened us up to a world of products that you would never find in your local bike shop. Some of these products that come from no-name companies are admittedly, crap. Others however can a really good deal and allow you to save money to spend elsewhere. A product that I discovered recently falls into the latter category. The Imrider Polyamide Flat Pedals come from “Imrider” who I have been unable to locate a website, phone number or other contact information for. However these pedals are available on Amazon.com for about $20 so I’m not too concerned about making any warranty claims. Flat pedals need to have a few features. They need a well shaped platform and grippy pins that will hold onto your shoes. They also need to be durable yet light and have bearings that will allow them to spin freely. The Imrider pedals really check all of these boxes. These pedals have been spending time on my StumpJumper FSR 29er. So they’ve taken their share of crashes, bashes and hard hits. The Imrider feature a plastic (polyamide) body with metal, screw in studs. These screw in studs do an excellent job of gripping flat pedals shoes. I ride with FiveTen Freerider shoes and my feet feel extremely secure on these pedals. I find that if I position my foot wrong on the pedals I need to consciously lift my foot of and reposition it. In addition Imrider even throws in replacement studs if you break one. I’ve bashed these pedals several times and they are no worse for the wear. The conditions I ride in on a regular basis can be hard on pedal bearings (wet, muddy, sometimes sandy). These pedals however, have stood up to multiple months of daily riding and are as smooth as when I purchased them. At 179 grams per pedal these pedals are very similar in weight to other popular plastic bodied pedals such as the Race Face Chester. 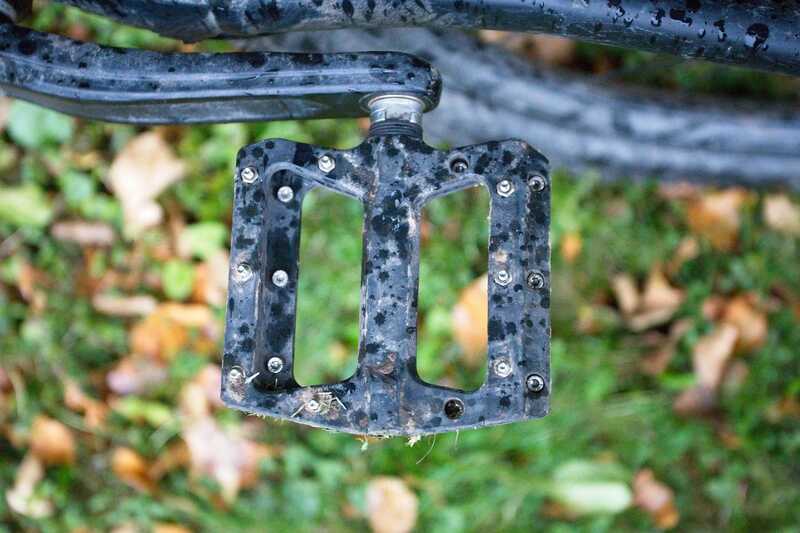 Overall the Imrider Flat Pedals make a great buy for the weekend warrior mountain biker. They would also be great to put on that second bike that you lend to friends that want to ride with you. For the money, I don’t think you can beat these pedals.